The Connect-A-Desk is the desk that connects to you! 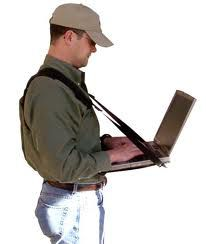 Keep both hands free to use your tablet, laptop, or even a clipboard. Thousands of professionals across the world have been using the Connect-A-Desk since 2008. Now you can experience the convenience of the Connect-A-Desk with this special deal direct from the manufacturer. Connect A Desk LLC manufactures and sells the Connect-A-Desk to be used with Tablets, Laptops, and even Clipboards. It’s for anyone needing to have their hands free while using their tools. The Connect-A-Desk has been successfully sold across the world since 2008 to people that use the Connect-A-Desk every day in their work. From Land Surveyors to Aircraft Maintenance and Warehouse Workers the Connect-A-Desk saves time. Connect-A-Desk is proudly manufactured in the United States.